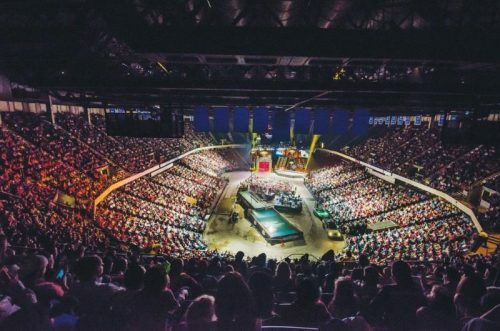 MANY, La. 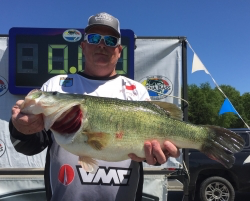 (April 15, 2019) – Boater Ken Smith of Dallas, Texas, caught five bass Saturday weighing 21 pounds, 12 ounces, to win the 2019 T-H Marine FLW Bass Fishing League (BFL) Cowboy division tournament on Toledo Bend. Smith earned $8,303 for his victory. 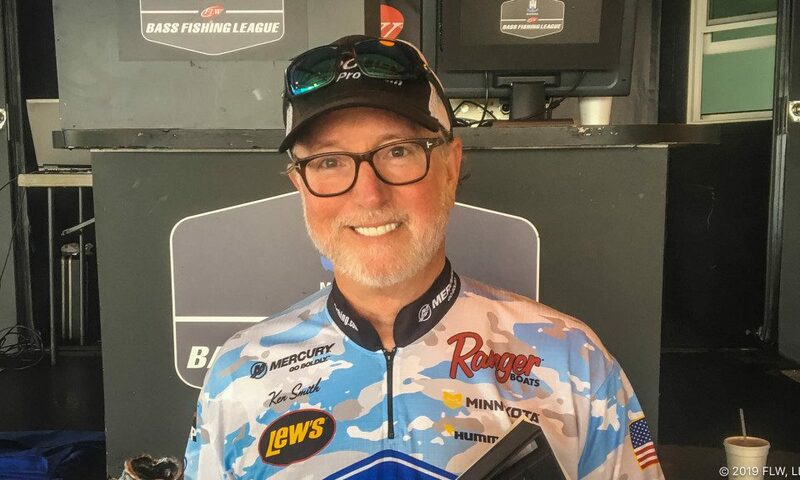 Due to a shortage of co-angler participants, Smith had to fish in a boater-on-boater format and was paired with River Lee of Nacogdoches, Texas. 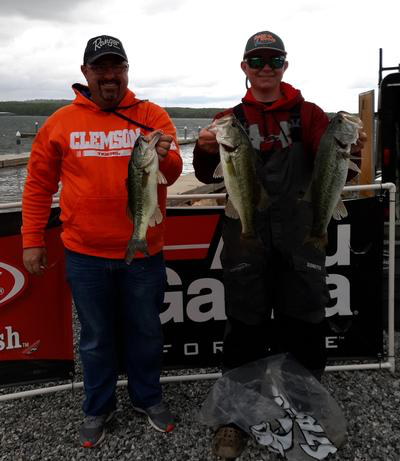 It was a successful day on the water for the duo, as Smith won the event while Lee finished the event in 12th place and won $431. 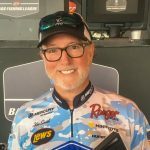 Smith said that he caught around a dozen keepers throughout the day flipping a Baby Bass-colored Yamamoto Senko on a Lew’s Custom Lite rod and reel combo with 20-pound Seaguar fluorocarbon. “The fish were up in the grass as opposed to being on the edge,” Smith said. “Around 11 (a.m.) I caught the big one (7-14) and then a 6-pounder. In 15 minutes I went from 12 pounds to 21 pounds. 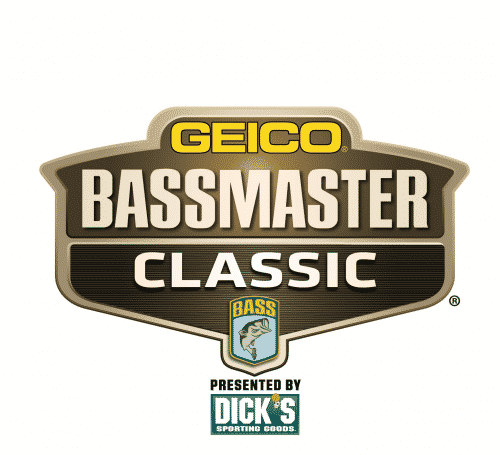 Smith’s 7-pound, 14-ounce bass was the heaviest of the event in the Boater Division and earned the day’s Boater Big Bass award of $640. Lat Nichols of Deport, Texas, won the Co-angler Division and $2,357 Saturday after catching five bass weighing 15 pounds, 14 ounces. Grubbs Jr. caught the largest bass in the Co-angler Division, a fish weighing in at 5 pounds, 13 ounces. The catch earned him the day’s Co-angler Big Bass award of $305. 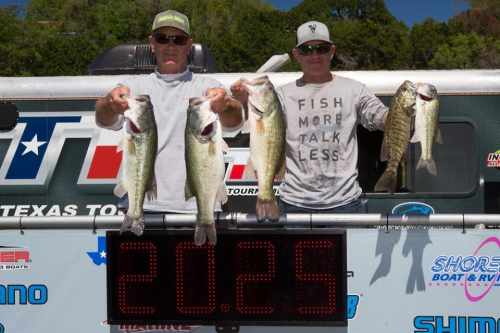 The top 45 boaters and co-anglers in the region based on point standings, along with the five winners in each qualifying event, will be entered in the Oct. 24-26 BFL Regional Championship on Grand Lake in Grove, Oklahoma. Boaters will compete for a top award of a Ranger Z518L with a 200-horsepower outboard and $20,000, while co-anglers will fish for a new Ranger Z518L with a 200-horsepower outboard.